This research and development period will see Rob return to the studio working with performers Joanne Pirrie and Laura Murphy. Together they will be continuing the creative process started from creating works 2-1-2 and This is already about something... as well as compiling more information towards Rob's continuing exploration of his movement language. The Firkin Crane Cork: November 12-15. Dance House Dublin: November 25-29. Dance House Glasgow: December 2-13. Rob, Joanne and Laura will be alternating teaching daily professional class while at each of the dance agencies. For specific dates and times please see the appropriate webpages or alternatively our Facebook company page. This project is kindly supported both by Creative Scotland and Dance Ireland. October 23rd 2013, Dance Live, Aberdeen. Rob Heaslip creates a work of interlacing bodies through detailed, fluid and mesmerising dance. Working with tactile response, it is a duet presented to you in a manner both gentle and energetic. 2 - 1 - 2 is part of the on-going Strange Attractors Project Umbrella, comprising of work in interpretations of chaos theories. Performers: Rob Heaslip, Joanne Pirrie, Jen Farmer. 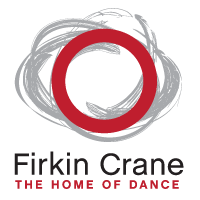 July 15 - 26, 2013 Blank Canvas Residency, Firkin Crane, Ireland. Research with the aim to creating new work, Rob will be collaborating with Irish Artist Laura Murphy, composer Irene Buckley and a dramatruge. The project will be based on human behaviours and reactions to tactile movements, with a focus on the role of instinctual impulses. This residency will explore our dependency to reach an equilibrium, a balance to co-exist within human interactions. What conditions probe partnerships to succeed? Does striving for an equilibrium create that harmony to bind us? Through a physical research of routine, dependency, tactile-responses and instinct we will investigate the addictions of dependency. Can interference lead to side-effects, and what would happen if the equilibrium were to flinch, alter or break down? Do we adapt, or do the partnerships fall apart? This project is made possible with the kind support of Creative Scotland. Public Showing: July 25, 1pm. Free Entry. Collaboration with Keren Rosenberg @ Dance Base, Edinburgh. 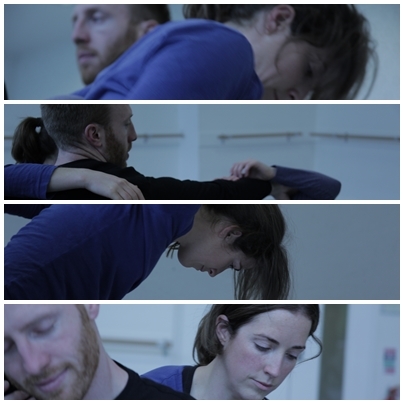 Rob is collaborating with Keren Rosenberg (Israel) in an exploration of mutual sharing and learning of their respective choreographic practice. Rob is looking to explore the possibilities between his choreographic use of gesture and Keren’s expertise in Gaga Movement Language. The residency will look at developing Rob’s signature style of gesture with new thoughts and ideas provided through an intensive period of learning, composition and exploration of Gaga, as well as fulfilling a long awaited opportunity to exchange practice with Keren. Both are interested in finding mutual concepts within their work ethics, as well as looking to learn from one another. They will start with two questions – why am I moving this way? How much do I contribute to my personal environment? Keren will provide morning class (Gaga) throughout the residency. For more information, contact maximealldance@gmail.com or Dance Base. This performance of LUSTRUM by Gary Clarke is the culmination of a week-long choreographic project taking place in Dance Base at the end of January 2013. Pioneered in 2012 by Merseyside Dance Initiative, LUSTRUM is a rare opportunity for 15 national dance artists (half from the Edinburgh and Lothians region) to join forces to devise, create and professionally showcase five new dance works in just five days: a fast and furious collaborative project that is driven on creative instinct and quick-fire choices. Working with chance methods to dictate outcomes, participants will switch between the roles of choreographer and performer from day to day, experimenting with the generation of material and creation of performance work in a spontaneous and non-critical way. This performance is your opportunity to see what emerges from their time in the studio. Dancer for Flesh Collective Residency @ Dance Base, Edinburgh. An exploration of space within the body and the space that the body can consume, the infinite capacity and memory of space that is contained within or occupies the mind. Memory of place in space and time, collected and etched in or on our being, manifested as memory and movement. Flesh Collective exchange and explore these infinite possibilities that simultaneously exist and investigate the mind/body divide/connection. A cross-collaborative exploration lead by Aaron Jeffrey, infused with visual layers and experimental movement concepts. Performer for The Salon Project, Citizen's Theatre, Glasgow. Dancer for David Hughes Dance Germany Tour. In 2007, Hughes was looking for a talented but relatively unknown choreographer to make something unconventional for his recently assembled ensemble company. His thoughts turned back to Tanja whom he had worked with in DV8 and she gladly jumped at the invitation to come to make a work in Scotland. The result of this fantastic adventure is ‘Imploded: Une Reverie Romantique’. 100 years after its original premier, Tanja Liedtke has created a quirky, athletic and touching tribute to the first ever non-narrative ballet – ‘Les Sylphides’. With dancers assuming the cheeky and mischievous attributes of sylphs, there are more than a few references to this infamous Ballet…although ballet, this certainly is not. In the summer of 2009, David Hughes Dance completed a hugely successful tour including a run at The Traverse Theatre as part of its Edinburgh Festival Programme. This was the first time in its history that the Traverse have programmed a Dance Company as part of its Festival Season – history was made! The run of THE RED ROOM was an amazing success, receiving rave reviews and sell-out audiences. The company have since performed in Aschaffenburg. Dresden, Ludwigshaffen and Saarlouis Germany. The company recieved a Herald award for the production and a Total Theatre Special Commendation. max.IMEALLdance performs MEITHEAL at Re-Presenting Ireland, as part of Dublin Dance Festival. RE-PRESENTING IRELAND: A SHOWCASE INITIATIVE BY CULTURE IRELAND, DANCE IRELAND AND DUBLIN DANCE FESTIVAL. DUBLIN DANCE FESTIVAL 14-26 MAY 2013. STRAND 2: Fully staged work(s) at the Abbey Theatre, on the Peacock Stage. Dance Ireland in association with Dublin Dance Festival and Culture Ireland, invites proposals from choreographers and dance companies (Dance Ireland members) to submit work for consideration for Re-Presenting Ireland: a showcase initiative by Culture Ireland, Dance Ireland and Dublin Dance Festival. Re-Presenting Ireland is an opportunity for national and international programmers and audiences to experience some of the work currently being made in Ireland. It is our intention to curate a programme that is representative of current dance practice and of the very highest standards. It is also a networking opportunity for dance makers to present themselves to their international peers and press during the festival, with the attendant panel discussions, encounters and festival receptions. Made possible through the kind support of Creative Scotland and Culture Ireland. Research & Development Period, Room 2 Manoeuvre, Edinburgh. Blank Canvas Residency, Firkin Crane, Cork, Ireland. New Work @ DanceLive Festival, Aberdeen. Work to be performed at DanceLive 2013. Details coming soon.